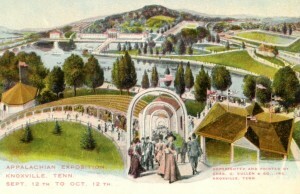 The Appalachian Exposition was held in Knoxville in 1910. My grandparents (Albert and Pearl Cleage) went there on a trip to Athens soon after they were married. I hope the other Pearl Cleage was also able to attend. I feel like I am sketching out the basic outline for a deeper and richer story. I really don’t have time to do them justice during this challenge. Hopefully I will work more on them after I recover from the A to Z Challenge. Pearl’s father Peter Cleage was born into slavery in 1817 in Alabama. He ended up in McMinn County Tennessee. In 1834, a Peter who is probably this Peter, appears in a letter from slave holder Samuel Cleage to his overseer. You can read the letter in this post Article of Agreement Between Samuel Cleage and Overseer – 1834. In 1870 Peter Cleage and his wife Nellie, were living next door to my 2X great grandparents, Frank and Juda Cleage, and their family. Peter owned no property worth mentioning and worked as a laborer. He was 53. Nellie was 52. Nellie died soon after this census was taken. In 1871, Peter Cleage married Margaret Guthrie. He was 54 and she was 20. They had 7 children together. Five of them lived to grow up. The parents were unable to read or write but all of their children were literate. Peter and Margaret (Guthrie) Cleage’s Family Tree. Pearl was born in 1887. She is a part of the same generation as my grandparents. Pearl’s sister Lydia Cleage (This is a different Lydia Cleage than the one that appeared as L is for Lydia Cleage) married Harrison Boyce in 1899. Pearl Cleage was eight years old in 1900. Peter Cleage was dead. Margaret, and two of her daughters (Pearl and Angelina) moved from Athens to Knoxville to live with Lydia and her husband. Her older daughter, Susan married and remained in Athens for the rest of her life. Harrison, Lydia’s husband, worked as a day laborer. This extended family continued to share housing for several years. Margaret and Angeline sometimes worked as cooks and other times they took in laundry. Harrison worked as a porter and then a janitor. 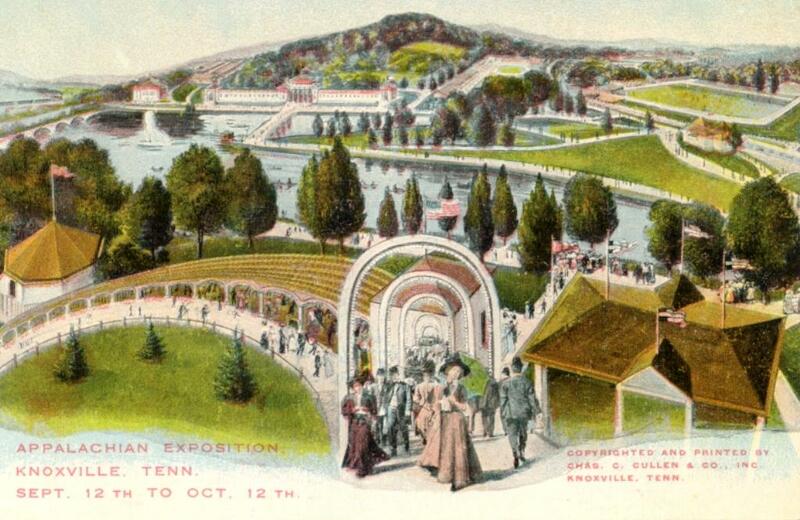 After 1909, Angelina disappears. I am afraid she died. Margaret was eventually able to buy place a place of her own for herself and her daughter Pearl. For the next few years, Pearl worked as a laundress and Margaret as a cook, soon both were cooks. Pearl’s future husband, Blaine McGee was born and grew up in Athens. In 1914 he was twenty eight years old, moved to Knoxville and opened an “Eating House”, as it was advertised in the city directory. In 1914 Pearl was a cook in Blaine’s restaurant. The two were married in 1917. The next year they celebrated the birth of their son, Blaine Jr. Sadly, they also experienced the deaths of Mother Margaret on January 8, 1918 and of Amitra, Lydia and Harrison’s 13 year old daughter who died 22 October 1918. Pearl’s daughter was born two years later. They named her Margaret after her Pearl’s mother. Pearl and Blaine lived above their restaurant on 317 S. Central, for over forty years. During all of these years, Pearl’s sister, Susan Cleage Gibson lived and raised her family in Athens. I wondered if any of her children moved to Knoxville. I could find no evidence that they did. Pearl Cleage McGhee died in Knoxville General Hospital of a stroke on October 24 1938. She was fifty one years old. Her husband Blaine was the informant. Pearl is buried in the Southern Chain Cemetery. Southern Chain is an historic black cemetery located in an area of Knoxville where there are several such cemeteries. They had fallen into neglect and are presently being rehabilitated. Blaine McGhee continued to cook and run his restaurant for fifteen more years, until his death on August 20, 1953 of carcinoma of the stomach. The way you tell the story sketches a whole series of intertwined lives, a whole world or work and migrations and human heartache, and in such a short space. In that short space you have your readers caring about the family, feeling sad to hear that Pearl’s mother and niece both died in the same year that he and Blaine’s child was born. Who was Angelina, by the way? I do hope that you continue with this project after the challenge is over. I’ve never read anything like it. Angelina was another of Margaret’s daughters. I need to add a bit about what happened to all of Margaret and Peter’s children. But you didn’t live there in 1910 🙂 I didn’t know about it either, until I was investigating my grandparent’s letters and found out they went there on their wedding trip. I always find family stories and family history interesting. Great project you took up for the challenge! Hope you can see it through to that book. We’re on the down hill side of the Challenge! P is also for Please Publish an E-book. Your research and writings are always interesting.